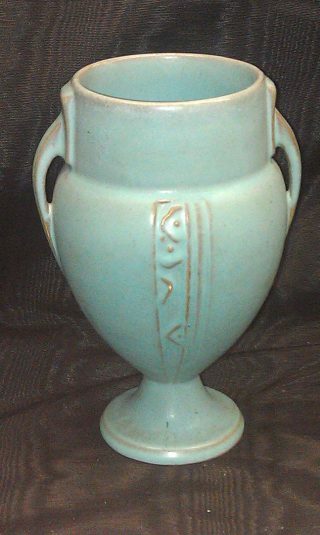 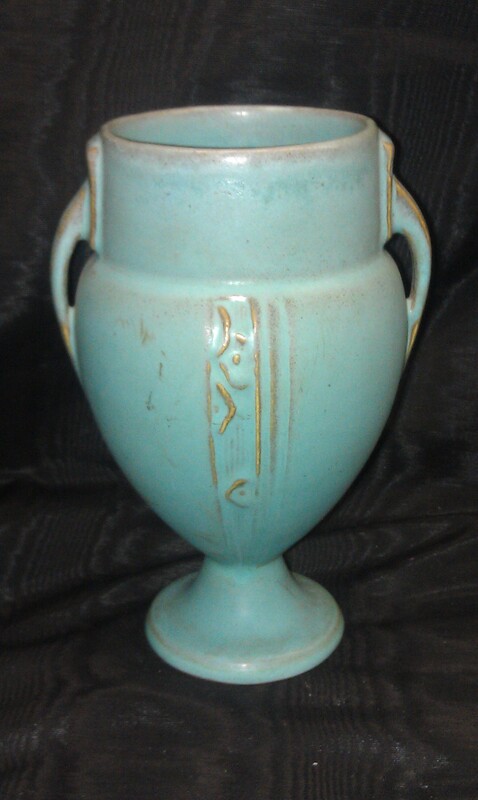 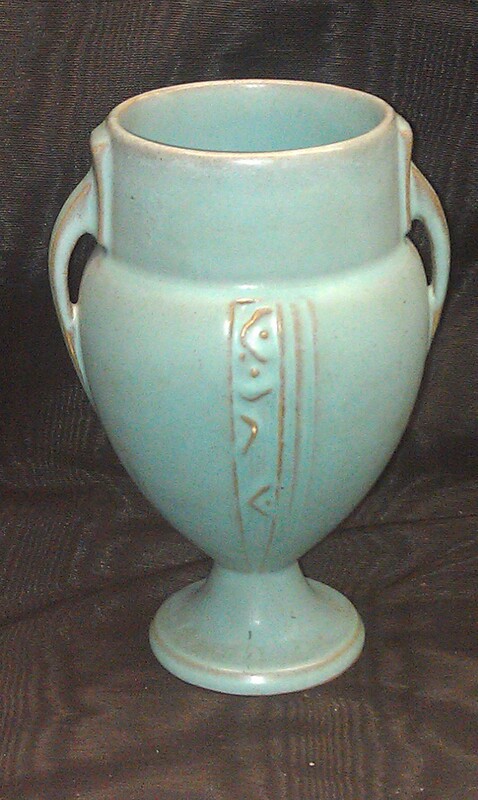 Great vintage Art Deco two-handled vase made by the Roseville Pottery Company c. 1936 in its Moderne pattern. Wonderful, hard-to-find blue or turquoise color. 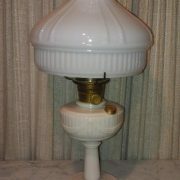 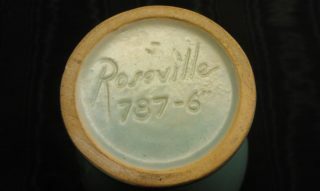 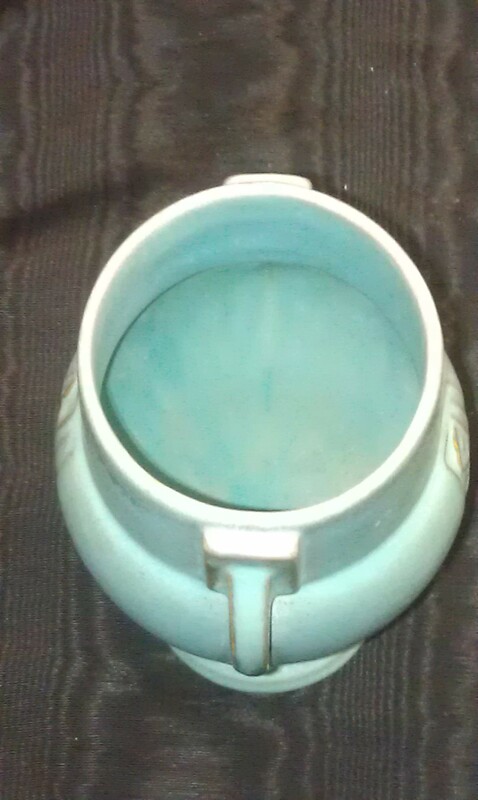 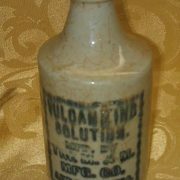 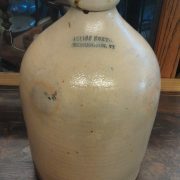 Marked on the bottom “Roseville 787-6.” Measures 6-1/2″ tall. 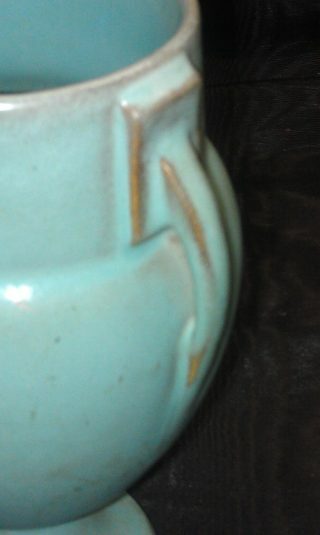 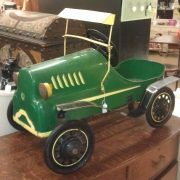 In excellent condition, no chips, cracks, or repairs.